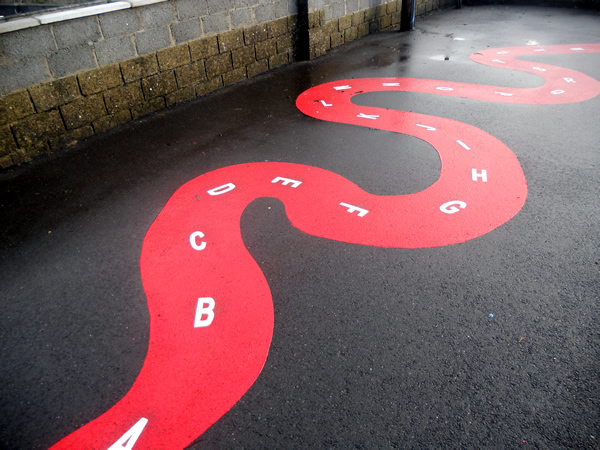 At Hearne Line Marking, we have supplied a variety of markings for many different playgrounds. 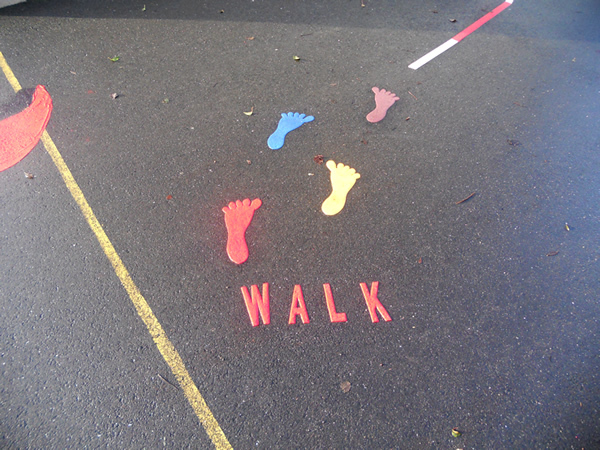 Playground markings can be done in all shapes, sizes and colours. 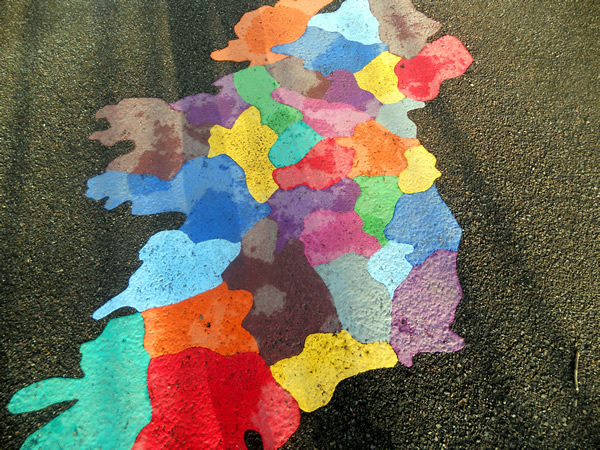 We apply them using a durable, anti-slip material which will retain its colour, so it continues looking great long after other material would have faded or worn away. 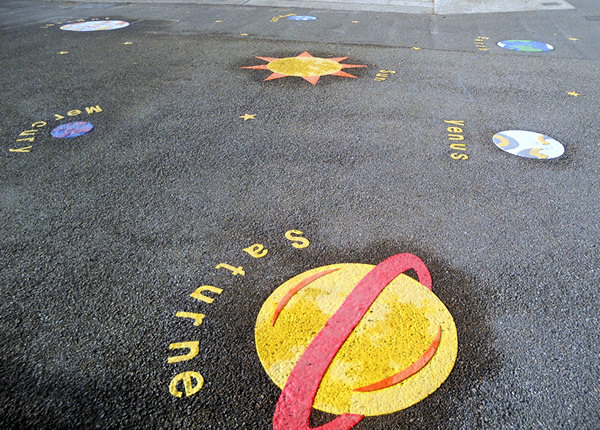 You can design your own games and ideas, and we will then manufacture them to your specification, or we can show you a wide range of playground markings to choose from. 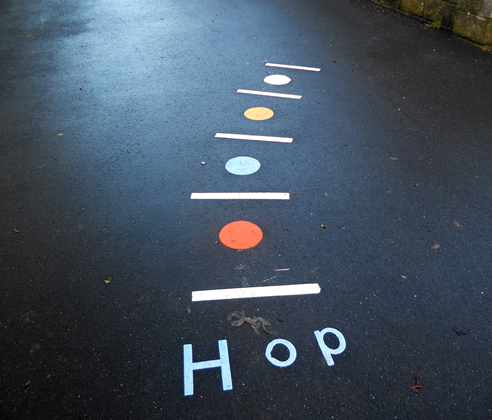 Please click any of the images below to scroll through our photo gallery of playground markings. We can install any sports court layouts to both internal and external surfaces. 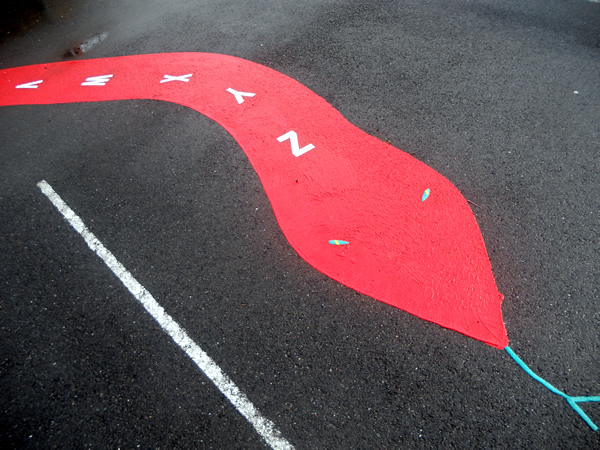 Markings are supplied using durable and colour-fast materials. Fine stone powder (flint) is applied to external markings to improve wet weather grip and thus reduce the risk of slips and falls. 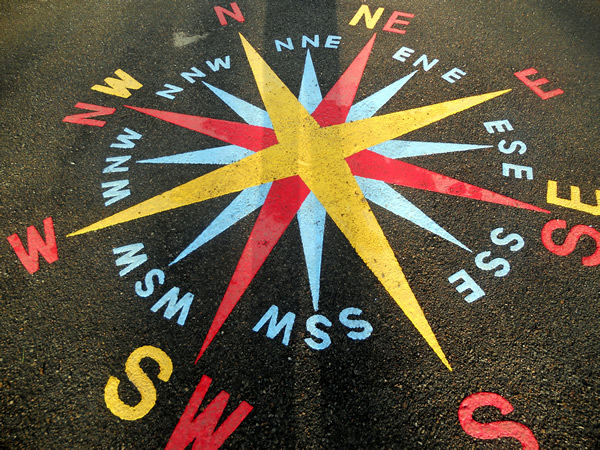 Line marking that we have done for schools include playground drawings, sports court markings and other symbols. The materials we use are of the highest quality, to ensure that they are both durable and safe. 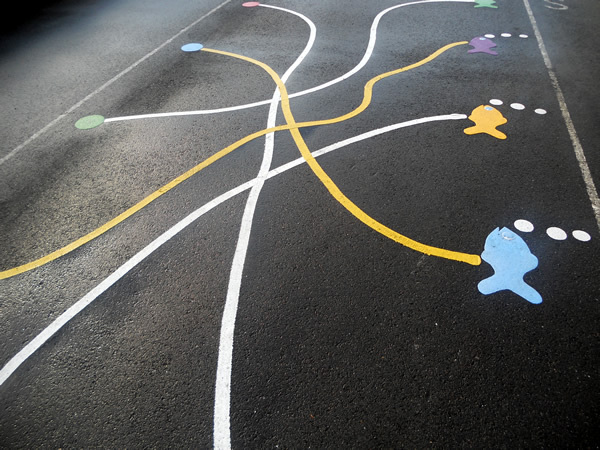 This means that your playground markings or sports markings can withstand the high traffic and rough play they will be subjected to. We can work around your school schedule and are available to work during weekends and school holidays to minimise any disruption.